In this article I will hopefully explain lower back pain and how a back support brace may be used to help reduce your symptoms of back pain. Lower back pain is undoubtedly a problem that affects many of us. A report from the Office for National Statistics (ONS) reported that over 30 million work days were lost in 2016 due to musculoskeletal problems which includes lower back pain. So as you can see the facts speak for themselves. Most of us will have either experienced or know somebody that has suffered from lower back pain. As an Osteopath I am fully aware that there are many ways to help treat lower back pain. I also believe that a back support or lower back brace can provide additional help with pain reduction, injury risk reduction and injury recovery for many people with lower back pain of diagnosed musculoskeletal cause, often referred to by doctors as mechanical back pain or also MSK. The most common types of mechanical lower back pain / MSK that I see in my clinics are due to injured back joints (facet joints), disc problems, sacro-iliac joint dysfunction, ligament and or muscular strains as well as the pain and stiffness related to degenerative conditions such as osteoarthritis. I would also add that a significant cause of many of these injuries is due to the poor use of the lower back, be that repetitive strains, over lifting, poor posture or general poor use of spinal mechanics. These complaints of lower back pain affect those involved in both sedentary and manual work. Much of this can be avoided and the risks reduced with the use of a lower back support. As an Osteopath why do I recommend back supports? I should mention at this point that although most cases of lower back pain have no serious underlying cause it is important that your pain is seen and diagnosed by your GP or specialist. The onset of lower back pain may be sudden, it may develop over of a period of time or it may always be there in some capacity (due to an old injury) but is aggravated by particular activities which may be activities you would enjoy if you didn’t have the consequential after activity pain! The vast majority of diagnosed lower back pain will be of mechanical / MSK origin and as a practicing osteopath I see and treat many patients suffering with back pain and who I know from experience benefit with the use of a lower back support brace. What studies have been done to support the use of back supports and lower back pain? Reduction of Acute Low Back Injuries by Use of Back Supports. 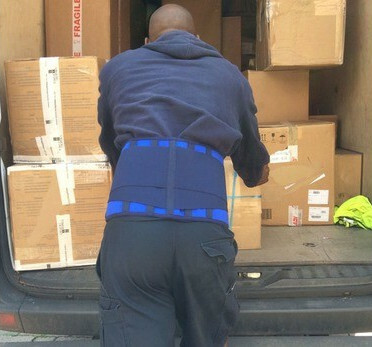 In this report the authors conclude that the use of a back support significantly reduced the incidence of acute low back injuries within the workplace. This report was based upon data collected from over 100 million working hours and the benefit was seen by both genders involved in both low and high level intensity lifting. See report abstract. So how does a Back brace help lower back pain? Support – it offers reinforcing support during activity. 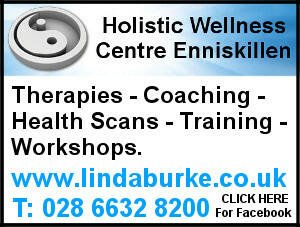 Warmth – heat helps with muscle spasm reduction & pain reduction. Recovery – assists injured or weakened core muscles during injury healing. Prevention – by wearing a support we are not only reminded that we should take care but additionally we can take some pro-active action in managing our lower back. And quite non-scientifically for many of us a back support allows us to get on with our chosen activity and helps make our day to day lives less painful. What are the benefits of a back support? Fact or Fiction? Do back supports weaken your back? Back supports work like many other types of joint supports in that they assist your muscles in supporting the joint(s) particularly during episodes of injury and pain. I have often been asked whether wearing a support weakens your back which is a natural and good question to ask. Well my belief is that if you were to buy a back brace and wear it constantly all day every day then I feel this is when your back muscles could eventually become reliant upon the additional support and if worn over a long period of time this may then lead to your muscles becoming over reliant on the back support. So yes in such an extreme scenario I actually think a back support would do more harm than good. But.. I never advise anyone to wear a back support on full tension all day every day for long periods of time and I also encourage people to take some exercise to help strengthen their back. It is all about use and not abuse of a back support. On the flip side if by wearing a back support you can reduce the amount of medication you take for pain relief then this I feel is a positive option. 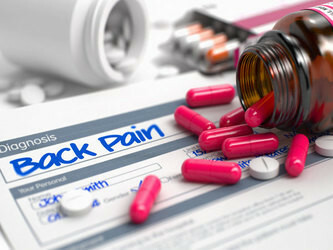 I am not saying taking medication for your back pain is wrong but it too has it’s own associated risks. Back Pain is not an exact science. Even with radiological or MRI evidence of conditions such as degenerative disc disease, facet joint hypertrophy, spinal stenosis, spondylolisthesis, spondylolysis, osteoarthritis and the list of conditions goes on, I am confident that in each one of us, even with the same named diagnosis we will not all have exactly the same baseline level of pain or stiffness and whilst some of us will suffer a mild ache others will have severe almost disabling pain from the same activity. 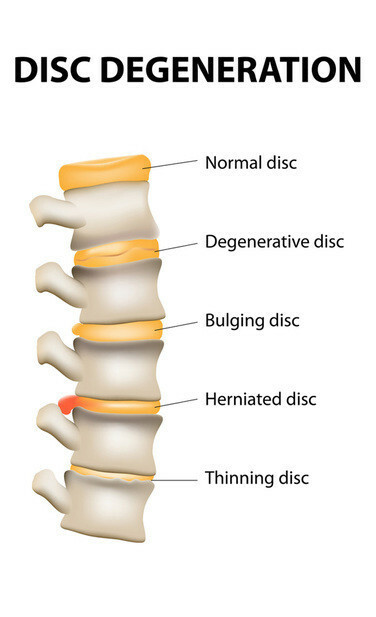 Common Symptoms of Degenerative Disc Disease (DDD). Although the list below is not exhaustive I have listed the typical symptoms I hear from my patients suffering from DDD. Activities that involve bending, twisting and lifting usually aggravate their back and these activities may be work or recreational. Prolonged standing, particularly when standing still, think of that dinner party, tend to cause lower back pain and muscle spasm. When should I wear my back support? So as I said earlier “it’s all about the correct use and not abuse” when it comes to wearing a back support. 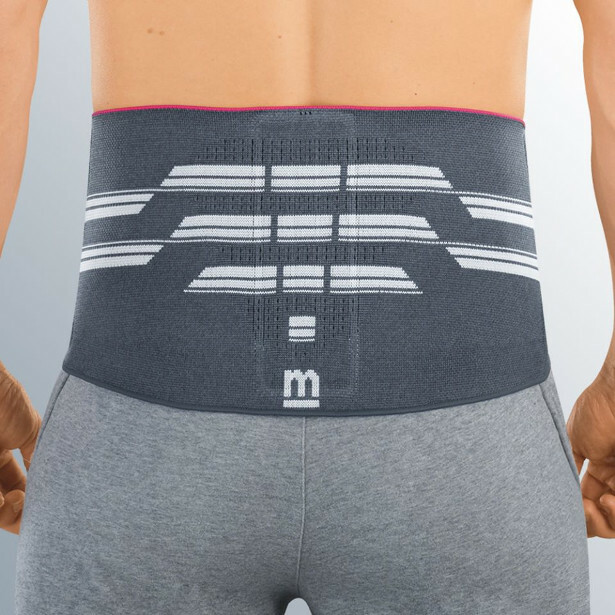 But if you suffer from any or all of the above symptoms at times, then wearing a back support prior to taking on a known aggravating activity can be very helpful at reducing the risk of further aggravating your lower back and for many actually allow them to do their chosen activity without pain or any repercussions after. I recommend that a back support be worn during the activity you know or suspect will either ‘set off’ your pain or aggravate the pain you already have. Once the activity has been completed either remove fully or slacken off the tension so that the support acts only to keep the back muscles warm. I also recommend to many of my patients, particularly (but not exclusively) those involved in manual labour who have previously hurt their lower back, that if their back just doesn’t feel quite right then wear the support for a day or two. 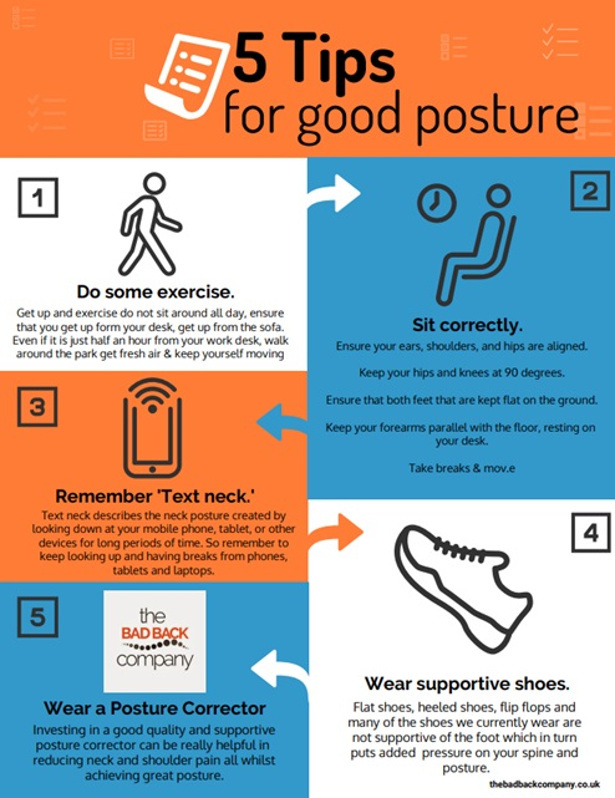 I find this acts very well at preventing the onset of a serious bout of lower back pain and potentially time off of work. By wearing a back support brace you can take back some control and manage your pain. By reducing your pain and doing more of what you enjoy doing I personally feel this has to be a sensible option for those with lower back conditions that conventional medicine cannot cure. What types of lower back supports are there? Magnets have traditionally been used for pain relief for many years and are said to increase blood flow and assist with promoting healing. Magnetic back supports are favoured by those with osteoarthritis and general symptoms of ‘wear and tear’ in the lower spine. Our magnetic back supports are designed to offer a variable degree of spinal support which can be altered while wearing in response to the desired level of support required. The material is also excellent at keeping your lower back warm. 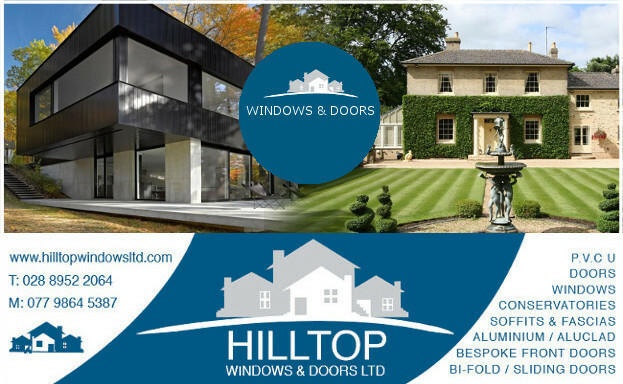 See our range. For mechanical lower back pain heat is helpful at reducing both muscular spasm and pain. These supports incorporate interchangeable pads with bio-ceramic discs that very cleverly use the body’s naturally generated heat to help soothe lower back aches and pains. 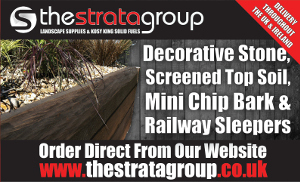 See our range. Many of our back supports are constructed from technical materials that are designed to offer specific compression zones that target areas of the spine requiring support whilst allowing other parts of the support to adapt to our body shape. Our Lumbamed range utilises such technology and our Donjoy Immostrap incorporates independent adjustable compression zones over the low back which can be very helpful for facet joint pain, disc pain and sciatica. Many of our back supports are unisex and function very well for both men and women. However, the anatomical shape of a female tends to give a lower waist to hip ratio when compared to a man. 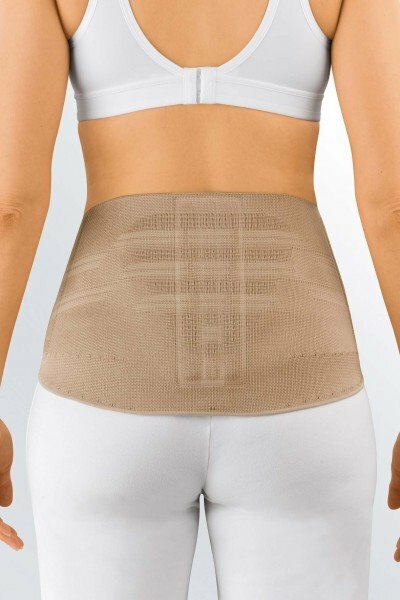 It is the larger hip to smaller waist shape that is featured in both the design and materials used in the construction of female specific lower back supports. We chose to stock two leading brands lumbamed and conforstrap that are available in sizes from XS up to a 55” hip measurement. During pregnancy the demands on your lower back can be very demanding and as the pregnancy develops discomfort can also develop over the front of the pelvis and lower abdomen. Our range of maternity supports are designed specifically to meet the demands placed upon your spine and pelvis during pregnancy. We recognise that we are all different shapes and sizes and many of our back supports are available up to size 4XL or a 61 inch waist. We have back supports that are designed with features to protect more than just your back in your work environment. Features such as non-conductive stays, hi-vis material, anti-slip features help keep you both safe and your back supported in your work place. 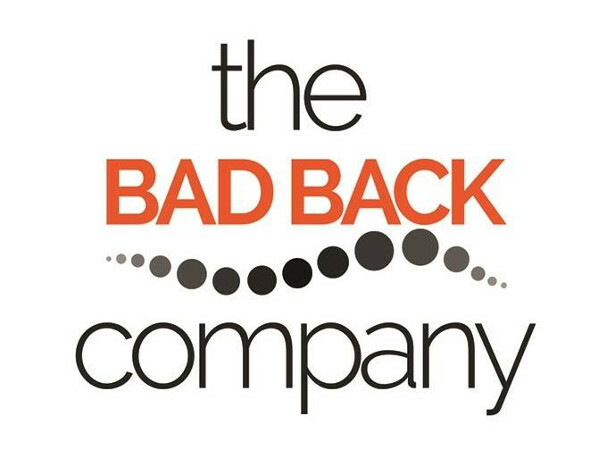 How to choose the best back support for you? Construction. Make sure the brace is made of quality materials and workmanship. 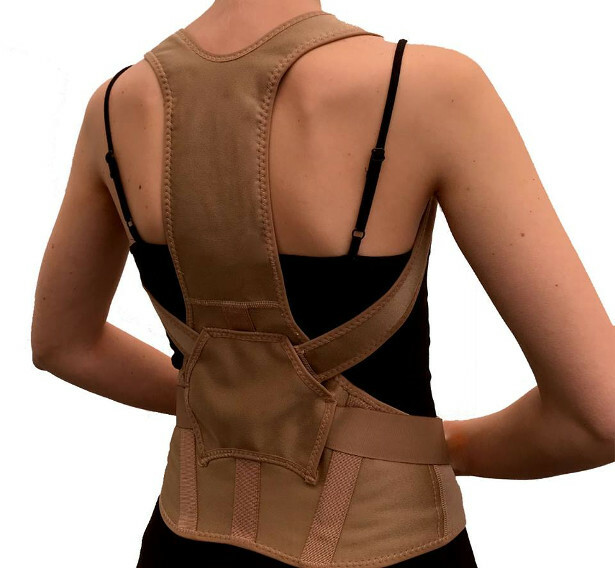 A poor quality brace may look similar and will appear to be cheaper but will not offer the degree of support that a leading top quality branded support does and will most likely not last very long as the materials will either not work, fail or lose their elasticity and hence support. Correct Sizing: Firstly think about whether you will wear your back brace against your skin or over a layer of clothing. Some supports can be worn both under and over clothing. To select the correct size carefully measure around your middle (either under or over the layer of clothing typically worn) at the widest point. This is usually at the level of your navel or just below. 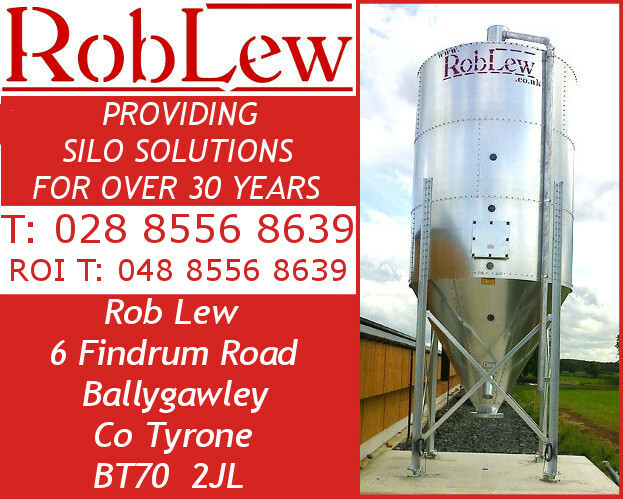 Do not hold yourself ‘in’ when taking the measurement, simply relax and take the measurement and then select your size. We offer back supports from a 22” to a 61” waist so we should have a size to suit you. Despite their being many articles on the internet about the pros and cons of back supports I hope you have found this article of help. Reduce your pain as you go about your daily life then they have to be considered as a sensible option. Tim’s aim is to take the guess work out of finding the right product for your specific pain or injury and won a Theo Paphitis Business Award for his hard work in providing great quality pain relieving products and helpful information for those living with back and joint pain.